Access to Christina Houghton’s practice-research PhD at the Auckland University of Technology. It’s a hefty series of downloads (10GB+). The ethico-poetics manifests minimal and minor narratives of belonging with all species, releasing (attitudes of ) hierarchical control and guides the research deeper toward its ethical focus in relation to narratives of the Anthropocene. 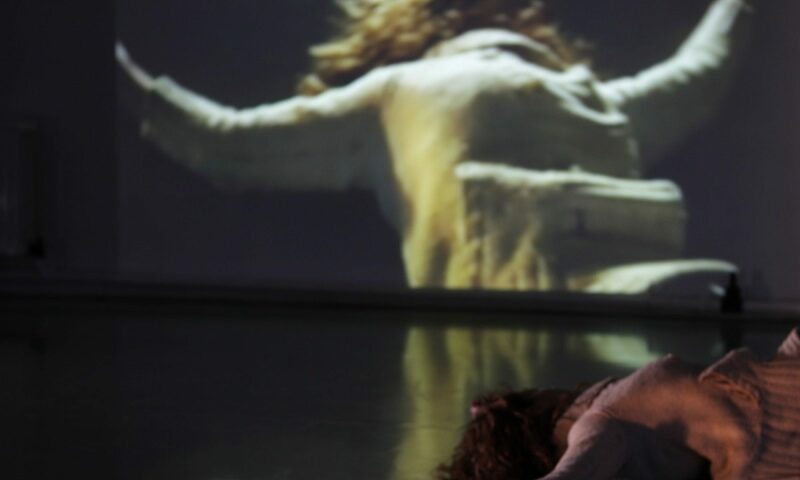 Joanna Zylinska’s minimal ethics and Erin Manning’s minor gesture, move toward fracturing grand narratives through thought-in- action as choreographic methods attuned to speculative pragmatics. The final conceptual coupling within this research exists across William Forsythe’s choreographic object and André Lepecki’s afterlives toward an un-mastered release for choreographic thinking-in-action, which lingers, hangs on, or survives after the choreographic event. Here an everyday poetics envelops in the way relationally distributed bodies of choreographic objects survive. The Practice Research Advisory Group has set up a website over at https://prag-uk.org. It contains a blog with different people posting various perspectives on practice research, an initial glossary of terms (that includes examples as part of quite detailed responses to each term), and a list of resources. It’s playful, lucid and direct, and such a useful example of a way for artists to interrupt their thinking or to draw a line under a period of practice or research. Tip of the hat to my friend and colleague Scott deLahunta for sending me the video. [The students] discuss the artefacts and content they’re producing and the challenges they’ve encountered around long-term archiving, managing rights and permissions, seeking advice from libraries, and ensuring access for future researchers to allow them to build on the research. Clearly, how non-traditional research is able to be archived and accessed continues to be a key question for institutions and individuals. The chapter is part of a book called A World of Muscle, Bone & Organs: Research and Scholarship in Dance, and it is an open access PDF available from: www.coventry.ac.uk/c-dare/e-book.